My family has been making this chicken since 1977! The recipe is taken from the June 1977 Bon Appetit Magazine. It really is finger lickin’ good! My adaptions are omitting the 2 tsp salt in the sauce and decreasing the poaching time of the chicken. I also prefer boneless chicken thighs to the whole broiler-fryers that you have to cut up. I enjoy cutting up a chicken, but buying ready to cook chicken saves time and the dark meat is juicier, as long as you don’t overcook it. This is a 2 stage cooking process; poaching and barbecuing. 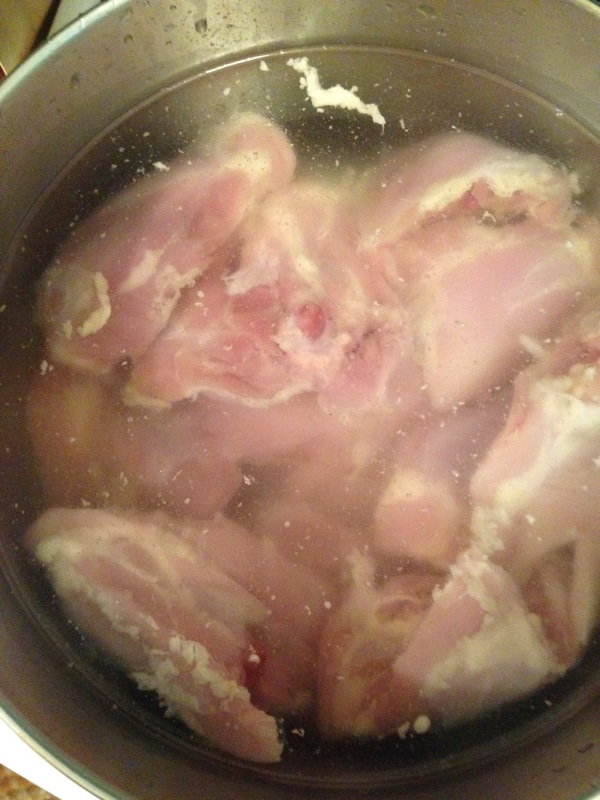 Place chicken in a large pot and cover with water. Bring to a boil and either turn off the heat if using an electric stove, or turn your gas range to the lowest setting. Cover and let set 20 minutes. 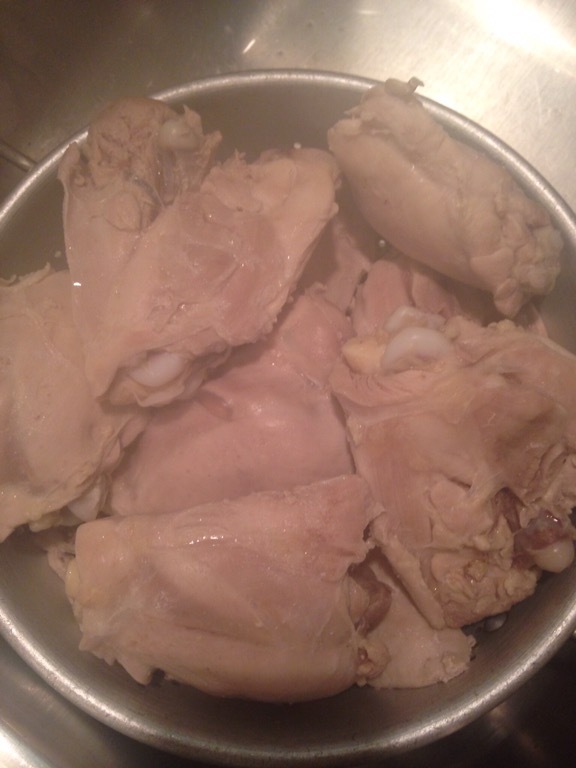 Drain and place chicken in a large bowl. When the chicken has cooled pour the BBQ sauce over it. Cover and refrigerate overnight or at least 8 hours. If you need to save space in your frig, you can use a gallon Ziplock bag instead of a bowl. Combine the marinade ingredients in a bowl and whisk together or use a stick blender. Grill chicken over hot coals until slightly browned. Really you only have to heat the chicken through on the grill. The degree of crispyness is a personal choice since the chicken is already cooked. I prefer the chicken heated through over a smokey fire, others prefer blackened chicken. Heat the reserved sauce and serve at the table. Additions to the menu could be fresh sweet corn, Illini Sweet is a Michigan favorite, a light cole slaw and marinated 3 bean salad. This is classic Midwest summer cooking. Bon Appetit! 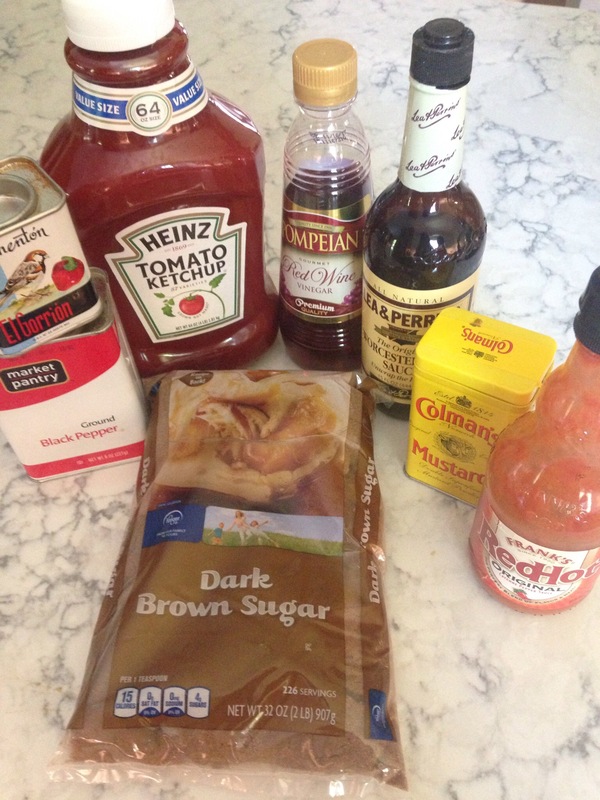 The sauce can be whisked together in a few minutes. You may ask who is Phyllis Diller? She is a very famous comediennne and actress of the mid-century who also raised a family. Many of her comedy routines centered around her husband, Fang. Poor guy. She is an older version of Joan Rivers, but glamorous only in a funny way. Posted in main dishes and tagged BBQ, chicken, Phyllis Diller, recipe, summer menu. Bookmark the permalink. 1. 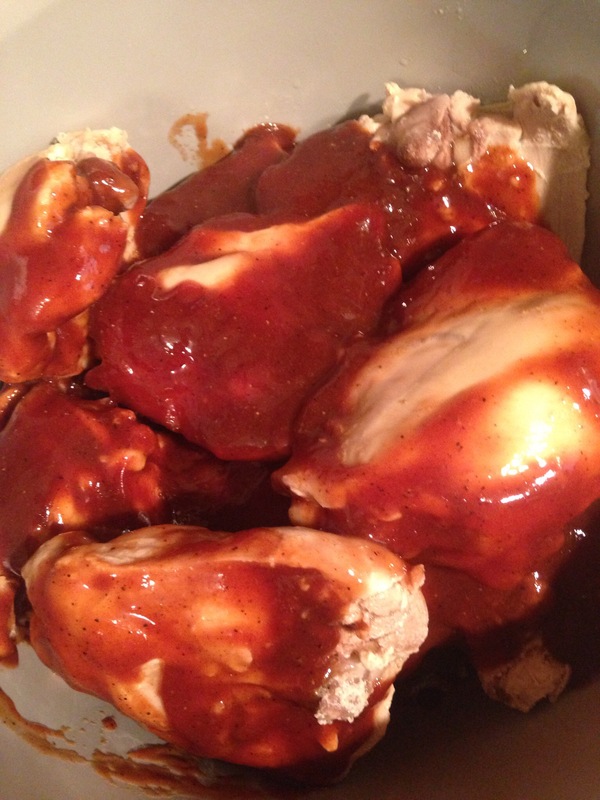 I like gallon Ziploc bags to marinate the chix….squeeze out all the air…this provides more uniform sauce coverage. 3. build a 2 level fire (coals on 1/2 the grill)…start on the hot side and move to the cooler side as the chix browns and finishes cooking. Because of the poaching it does not take long. Also, because of all the sugar in the sauce it will burn/blacken quickly…so keep a close eye on it and move to the cooler side as needed. 4. Use the sauce remaining from the marinade to baste the chix as it cooks but make sure to give it enough time on the grill to heat through. I am sure you would enjoy cooking this because you have a grillman too! Thank you for posting this~ Back in 1977 I subscribed to Bon Appitite magazine and made this recipe for a family picnic…..It was HUGE hit!! 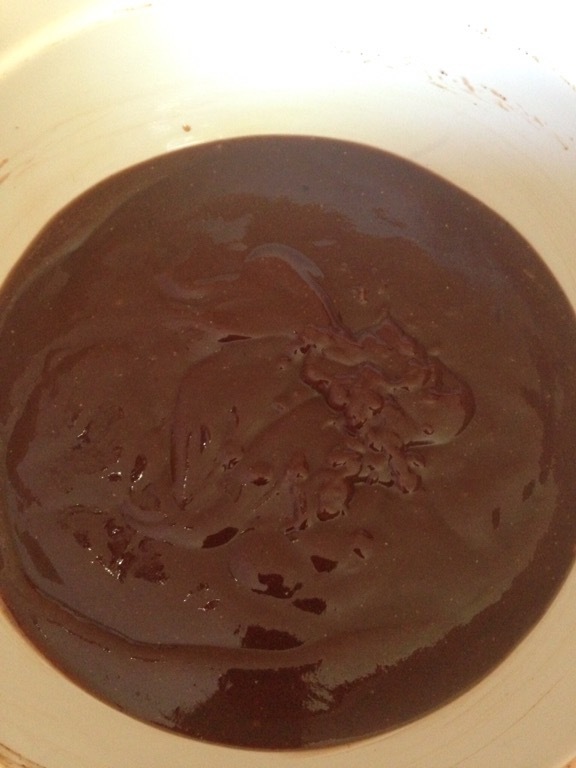 For several years I would occassionly make this due to the requests, however at some point I lost the recipe…….DISASTER! This is so great to hear Ruth! We make it every year and everyone always loves it as our family continues to grow! Welcome! I’m so glad you like my blog!